Phiona Mutesi is about to get the rockstar treatment — a rarity for a chess champion. Mutesi isn't a famous singer or a U.S. president, but a young woman from Uganda who happens to be a chess genius, and her incredible journey, from living on the streets in Uganda's Katwe slum in the nation's capital, Kampala, to traveling to Siberia to compete in the 2010 chess Olympiad at just 13, is the subject of the new Disney movie Queen of Katwe . Looking at photos of the real Phiona Mutesi, played by newcomer Madina Nalwanga in the film, battling her way across the chessboard to the top, it's not surprising she inspired a huge motion picture. Born in the Katwe slum, Mutesi was raised by a single mother after her father died of AIDS when she was just three years old. With three other children to raise, Mutesi's mother didn't have enough money to send Phiona to school. At nine years old, the future champion was illiterate, and, as she put it in a later interview with the BBC, "living a hard life whereby we didn't have anything to eat." It was then, having joined the Sports Outreach Ministry hoping to get the free porridge they were giving out at events, that she discovered chess. "Chess was so amazing. I had never seen such a game," she later told the BBC in that same interview. It was at the Ministry that she met Robert Katende, the missionary who became her chess teacher, played in the film by David Oyelowo. The two recently attended the TIFF premiere of Queen of Katwe together. Two years after her introduction to chess, Mutesi was crowned the women's junior champion of Uganda in 2007, and two years after that she traveled to Africa's International Children's Chess Tournament in Sudan to compete on behalf of Uganda — and won. In 2010, she traveled to Siberia to compete in the Chess Olympiad. As one of the year's youngest players, Mutesi failed to place, but left determined to become a grandmaster player. "Coach, I will be a grandmaster some day," she told Katende after losing to a grandmaster, according to The Guardian. And she meant it. In 2012, Mutesi again competed in the Chess Olympiad, this time in Istanbul, and earned the title of Woman Candidate Master — Uganda's first woman competitor ever to do so. That same year, author Tim Crothers, who had developed a relationship with Mutesi since covering her empowering rise in 2011, released a book about her, titled Queen of Katwe. Now 20, Mutesi is a national hero. 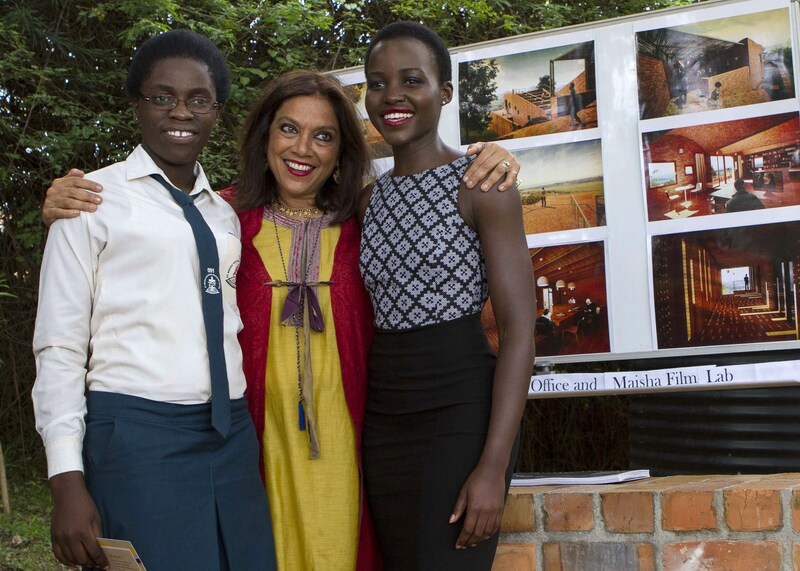 Oh, and the subject of a major motion picture directed by Mira Nair (pictured above with Mutesi, star Lupita Nyong'o, and Katende). Still a chess player, Mutesi also attends school and hopes to go to college one day soon. "Chess is a lot like my life. If you make smart movies you can stay away from danger, but you know any bad decision could be your last," Mutesi told Crothers in 2011, when they first met as he was writing an article about her for ESPN The Magazine. I wonder what the next 20 years of her life will look like.